There are many popular Ramen shops around the JR Chuo Line in Tokyo. Ramen specialty shops are recommended if you want to eat good Ramen. 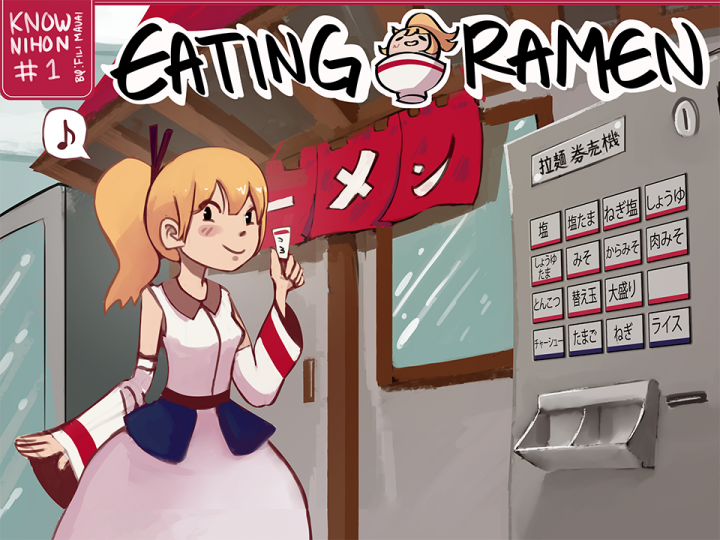 Most foreign visitors may not know how to order Ramen. At most shops you buy ticket from a vending machine or in some cases tell your order to the cook when seated. In rare cases there are shops you give your order to and pay before eating, but most common is buying a ticket (outside or at the entrance and handing it to the cook or staff). If it is a shop that uses tickets, give the ticket to the cook or staff and sit down at the counter. Usually water is self service, and there will be chopsticks available as well, usually "wari-bashi", or disposable wooden chopsticks that must be split into two. *Most Ramen shops do not accept credit cards. Takadanobaba and Shinjuku may be very famous for ramen, but Ogikubo is actually known as the originator of Tokyo Ramen and is also the popular standard for Tokyo-style ramen. It is soy sauce-based, light, clear taste and easy to eat for anyone. 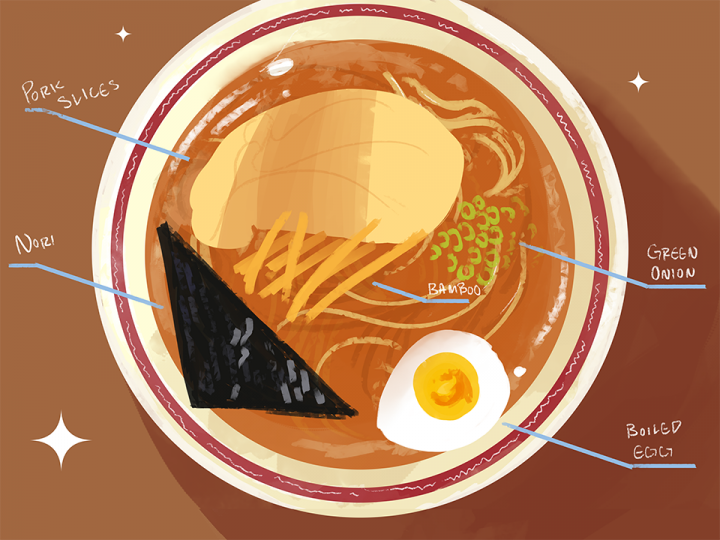 At most ramen shops you can add toppings such as boiled eggs, extra slices of roasted pork, and green onions. If you wish, order them with your ramen. Some shops serve free rice at lunch time. 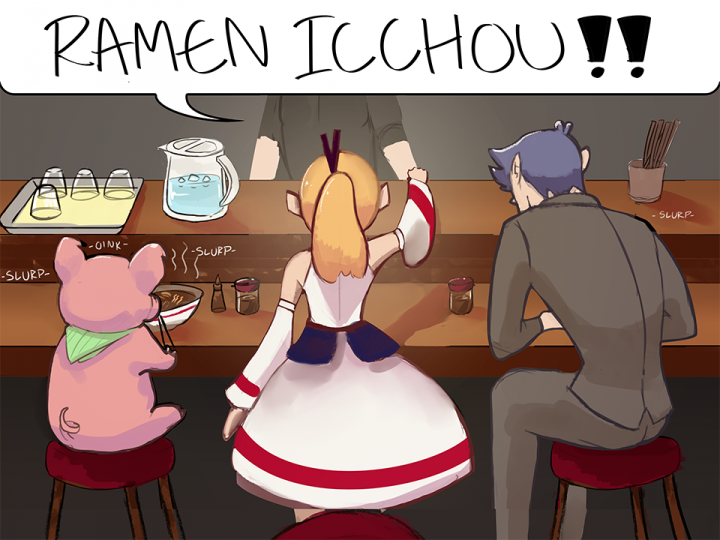 Don’t panic, even Japanese are not sure how to order ramen sometimes! *Basic Tokyo Ramen is Soy Sauce taste with Chicken flavor. The taste differs depending on the region, so you can enjoy local Ramen specific to the areas you visit. 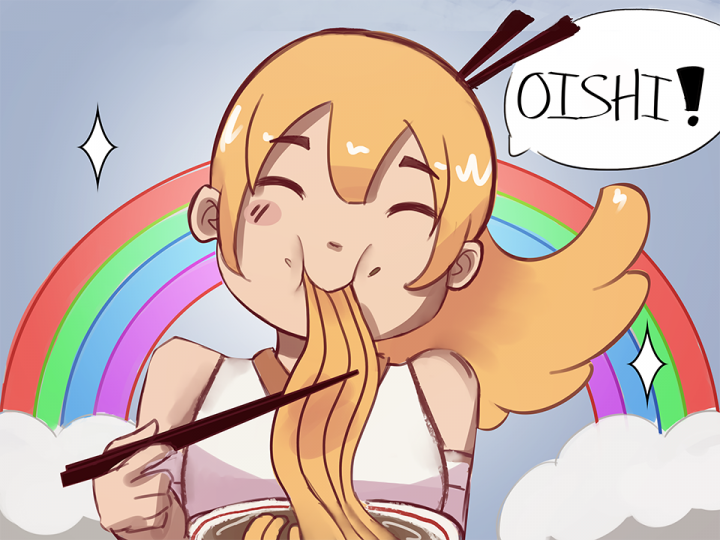 Here's how to eat Ramen, the Japanese way. In Japan it is OK to slurp your noodles making a slurping noise! Some Japanese even say that slurping noodles shows you are enjoying it even more, and therefor may be a comment to the chef. 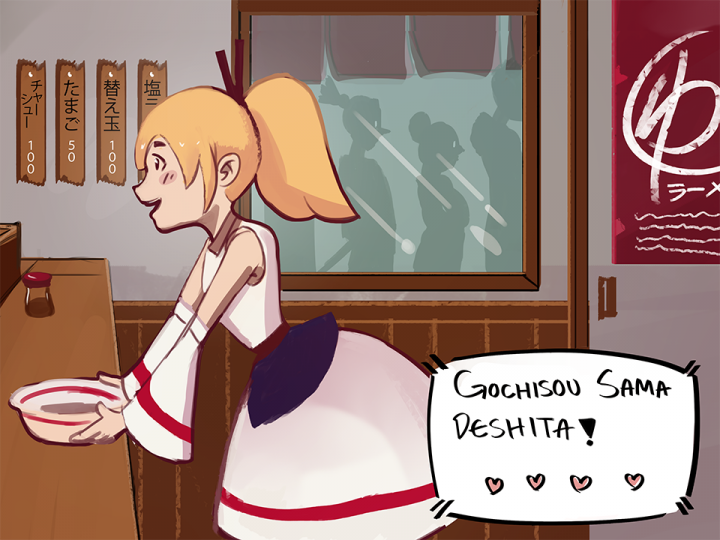 After you finish eating Japanese say “Gochisousama (deshita)” and leave immediately after finishing, not taking a long time or just hanging out. During busy hours people are usually waiting for an available seat, especially at popular shops. *Even though there are seasoning bottles on the table, using a lot may be lacking compassion to the cook. *At beef bowl shops, Ramen shops and Tendon (tempura bowl) shops prices are lower than other Japanese restaurants, and they are basically fast food shops even if there are comfortable tables and chairs. Consideration of other guests by leaving quickly after finishing is necessary during crowded times. *At popular shops during crowded times, each of your group may be asked to sit at empty chairs separately rather than wait for seats next to each other to become available.